MONROE — As students under fire in Florida speak out to end mass shootings, many hope this time it’s different. Indeed, their demand is compelling: Our representatives in Washington must act less like politicians and more like parents. Most of them have children; they should act like it. Greg Bates is a resident of Monroe and a freelance editor and publisher at Common Courage Press. Over 30,000 Americans are killed each year by gunfire. Since more than half of these deaths are suicides, it’s tempting to blame some of the victims. But every suicide is a tragedy. Many would be alive today if guns were less readily available. Blame the gun, not the person who took their own life with it. It’s also tempting to blame mass shootings on an intractable American culture of violence. 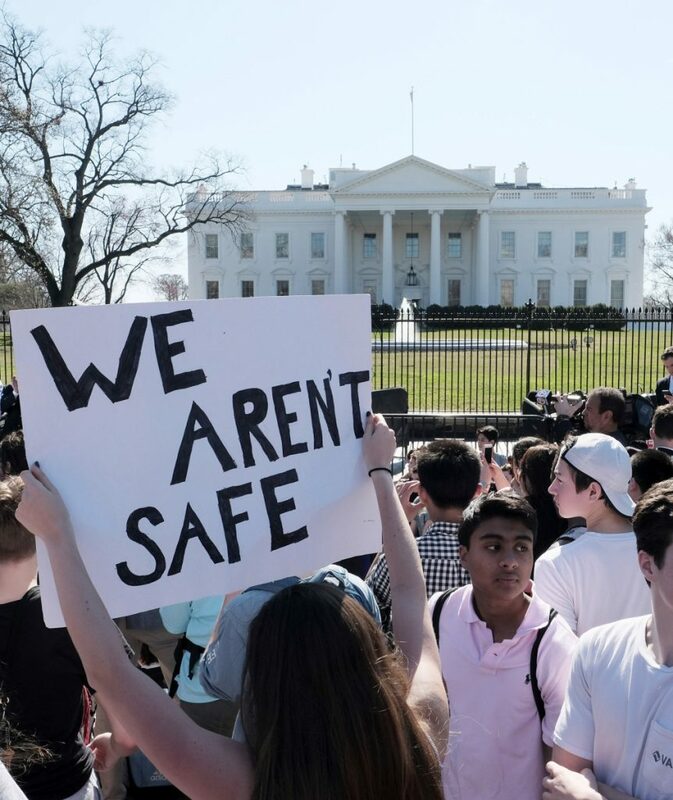 But as Max Fisher and Josh Keller reported in The New York Times last November, a 2016 study by University of Alabama criminologist Adam Lankford shows that the most compelling cause of mass shootings is the prevalence of guns. More guns equals more deaths. Reviewing shootings that occurred in public places and killed at least four victims, Lankford found that the U.S. had 90 mass shooters between 1966 and 2012, and we have some 300 million guns. No other country had more than 40 million guns and 18 mass shooters in that period. To put this in perspective, according to the reporters, the only country with more mass shooters per capita than the United States is Yemen. The U.S. has more mass shooters per capita – and more guns – than Afghanistan. Switzerland shows that gun control can go only so far. That country’s rate of death by gunfire is well below ours (30 per million Swiss compared to 105 per million Americans). Yet Switzerland has the second highest rate of gun ownership in the developed world – and the highest rate of gunfire deaths in Europe. Even with restrictive laws, gun ownership in any country kills. In response to mass shootings, many countries tighten gun laws. After one man shot 35 people in Australia in 1996, that country went a step further, initiating a buyback program that took an estimated 20 percent of firearms out of circulation. They haven’t had a mass shooting since. In contrast, gun-control advocates have long espoused incremental aims while eschewing any overarching objective – and we have been completely overrun by the National Rifle Association. Background checks and banning AR-15s won’t suffice. Increased vigilance over the mentally ill might make a minuscule difference; only about 5 percent of gun killings are carried out by people with mental health issues. As long as we demand ineffective change, the NRA can rightly claim that we are either mistaken, delusional or dishonest.